Thank you! I’m so glad you did this. It was a great idea. 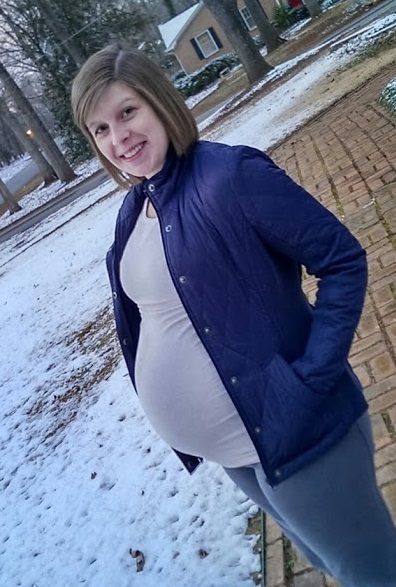 I really like the change of season as well… It isn’t as obvious in my maternity photos since Georgia doesn’t really look very obviously cold. beautiful! I meant to do one last night but then was too lazy to go back out after dark. I mostly have outside photos, bundled up in a winter coat. But as i see your version of the before/after, i agree with Meghan that the change of season is part of what makes it interesting. Love the pictures. You and Owen are adoreable. I have that same maternity shirt. It was my absolute favorite — so soft!! I wore it into the hospital to be induced, and then put it back on for my surprise trip to the NICU where my son ultimately died (at least I had something cozy and comforting to wear). It is in all my pictures from those days, and has a special place in my drawer. I love that maternity shirt! I wish it wasn’t so obviously maternity so I could wear it again this fall/winter. 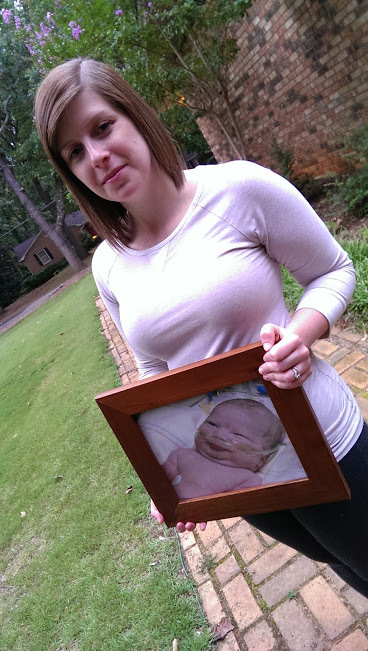 I wore it home from the hospital and often in the weeks after Owen died. It was my favorite shirt to wear during pregnancy, too. So soft, cuddly, and comforting.